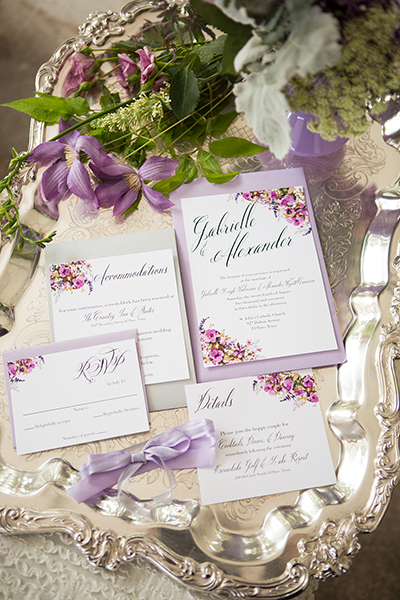 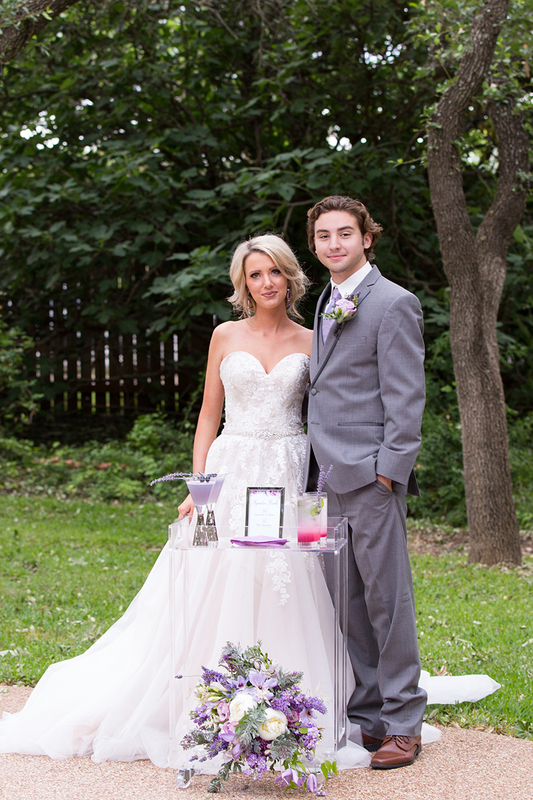 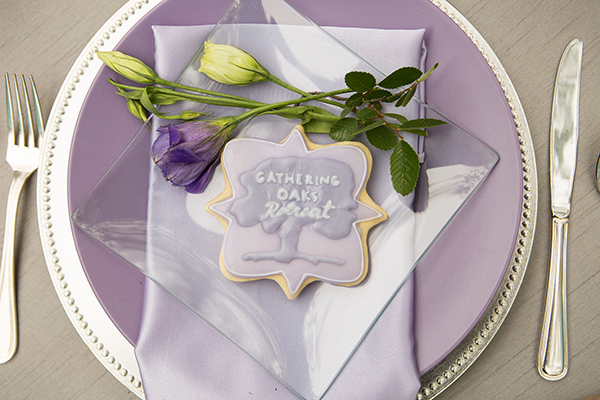 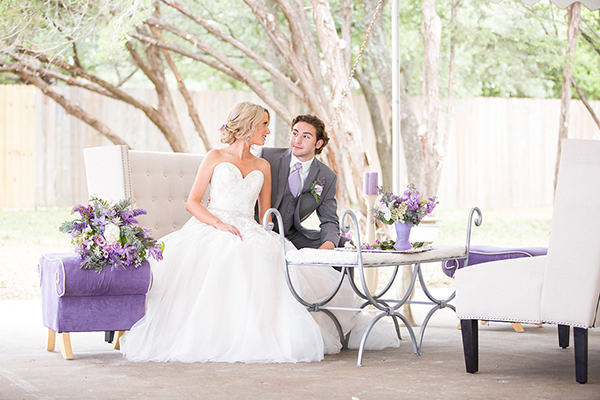 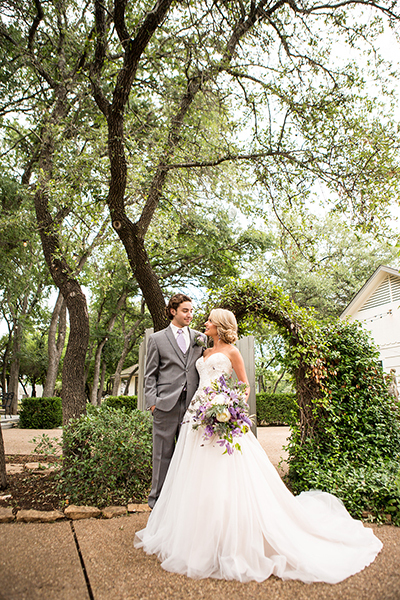 This styled shoot took place on the grounds of Gathering Oaks Retreat inside a beautifully decorated white tent. 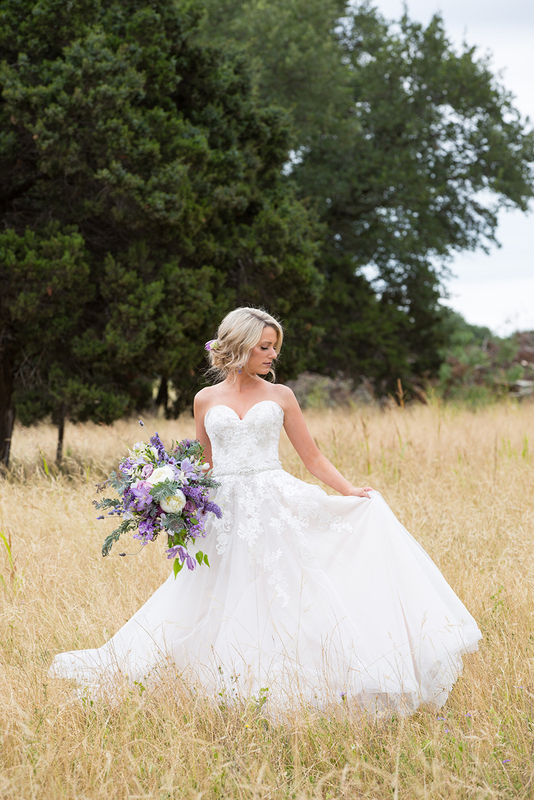 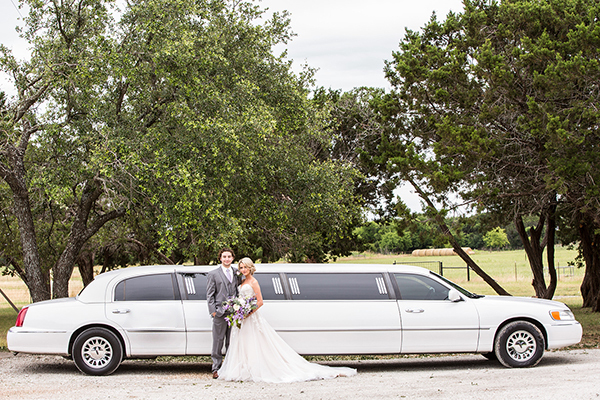 The tree-lined property provided the perfect backdrop for this country-inspired wedding reception. 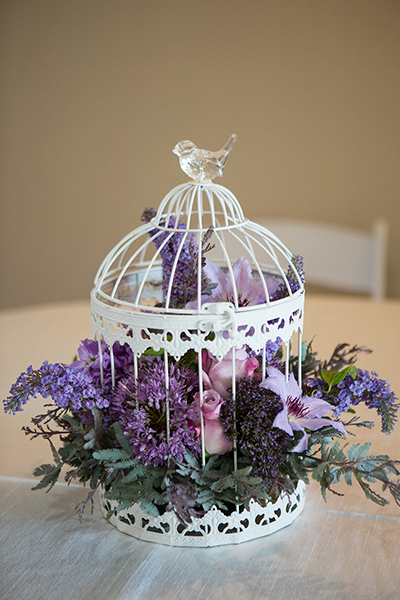 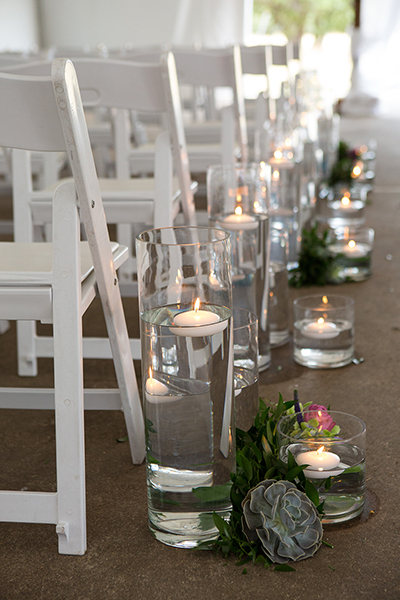 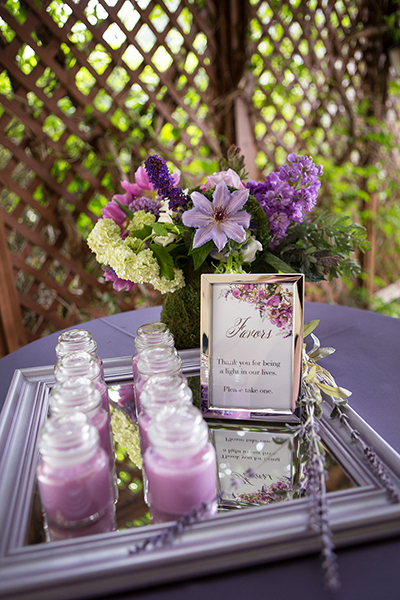 Floating candles, succulents, delicate lavender cookies and other romantic touches gave the space a soft, dreamy feel. 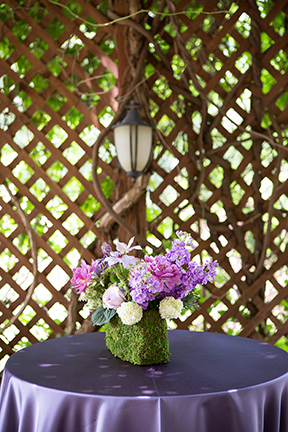 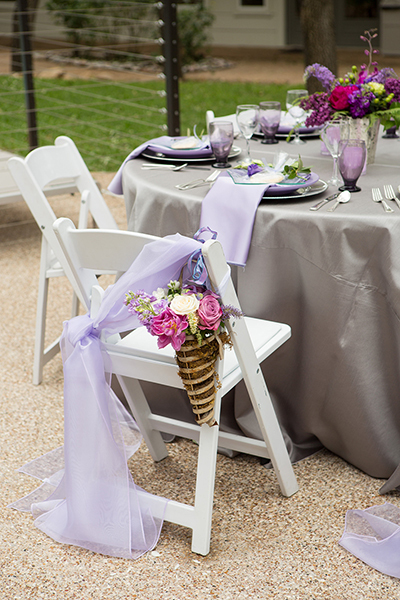 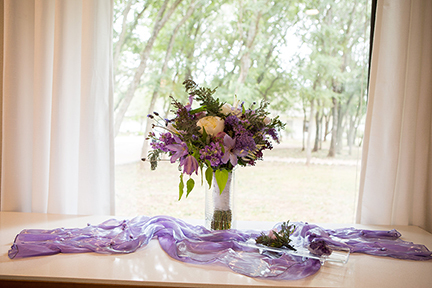 Ferns and blooming flower arrangements also added to the look, integrating the wedding colors and providing accents for fresh, summery pictures. 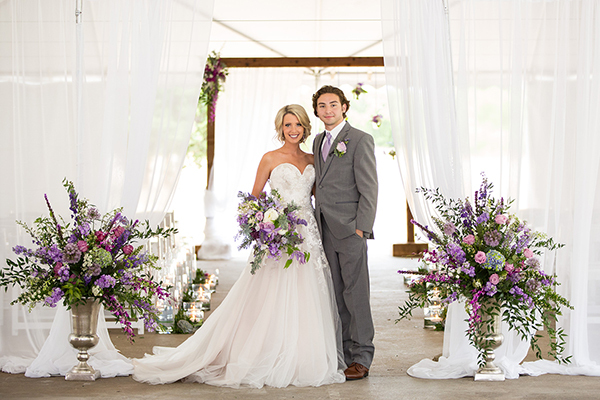 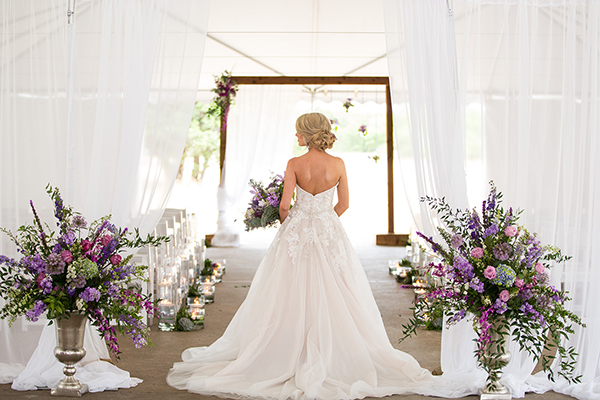 Lavender lighting highlighted the beauty not only of the venue and the bride, but also the four-tiered, floral-inspired cake. 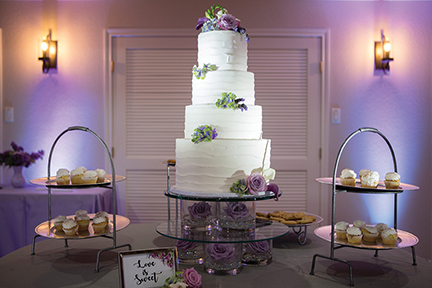 The towering confection acted as a centerpiece for the dessert table that also included other treats that were available to guests. 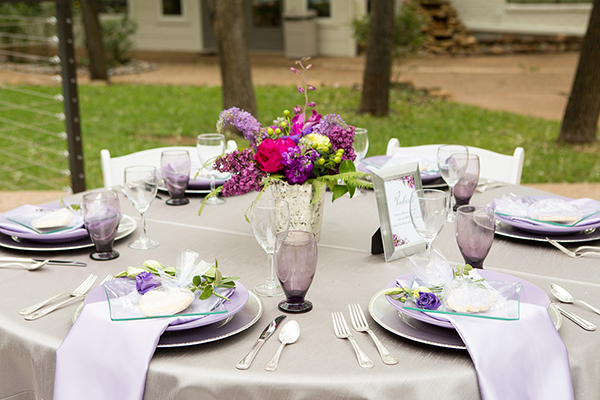 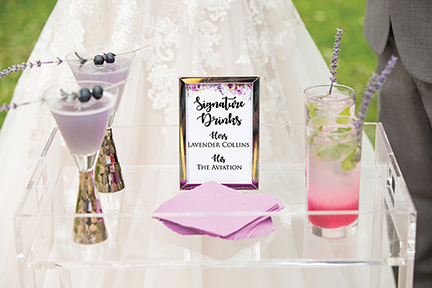 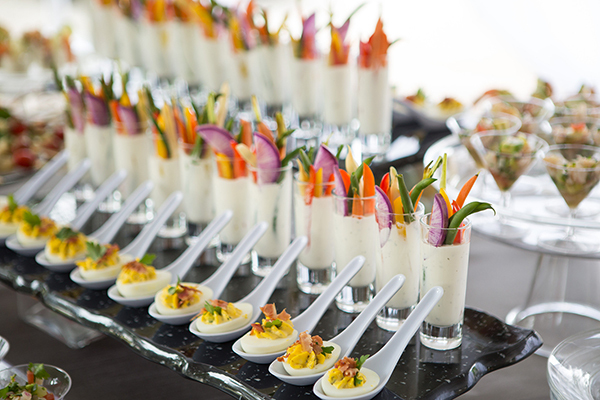 Signature cocktails with lavender accents and small bites served in miniature glasses and spoons provided the perfect snack for a warm, Texas evening. 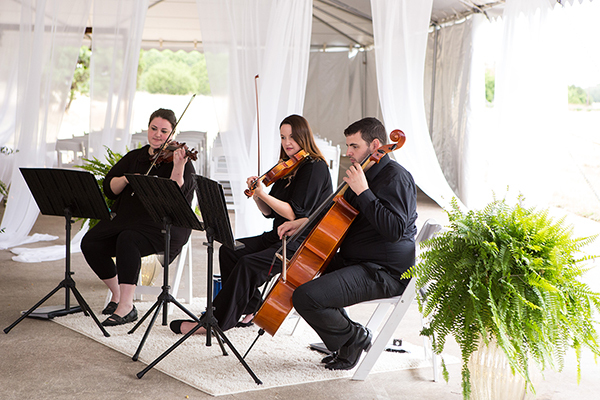 And soft, string music helped to create a relaxing, elegant atmosphere to watch the sun set over a canopy of oak trees.